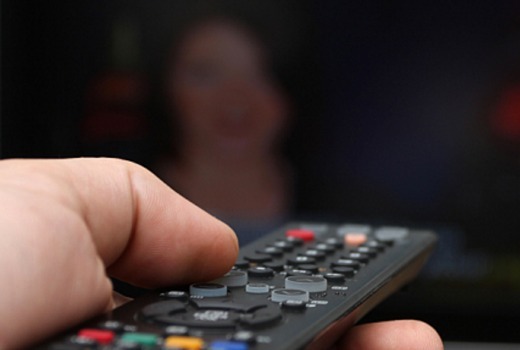 OzTAM has renewed its contract with Nielsen to supply ratings data from 2018 to 2020 and will increase the number of households in its panels by 50%. Nielsen supplies OzTAM with data for Australia’s five mainland capital cities and nationally for subscription television (STV). The expansion, which will be completed by the start of 2017, will take OzTAM’s metropolitan panel to 5,250 homes and its STV panel to 2,120 from the present 3,500 and 1,413, respectively. Concurrently, Regional TAM has announced the expansion of its own panel by 50 per cent to more than 3,000 homes. The additional homes in the OzTAM and Regional TAM panels will make Australia the world’s largest per capita people metered market. OzTAM CEO Doug Peiffer said: “Australia is a highly dynamic media market, and television is the most scrutinised and analysed of any segment. “To reinforce the confidence the industry retains in OzTAM TV ratings we continually invest in the service to reflect changes in the television landscape and audience behaviour. “Our longstanding and collaborative relationship with Nielsen has underpinned that effort and supported progressive innovation – for example, Time Shift Viewing, the inclusion of mobile phone-only homes in the panels, and previous increases to the number of panel homes. The new agreement also gives OzTAM flexibility to expand its ‘iPanel’, testing how households respond to new technologies. · Nielsen is OzTAM’s audience research supplier, recruiting, operating and maintaining the in-home panels, and producing the TV ratings data. OzTAM owns the copyright to and markets the data. · Households are recruited to OzTAM’s panels via a large-scale Establishment Survey, which defines and accurately represents the population and its characteristics for which OzTAM provides data. · OzTAM first awarded the contract to supply television audience measurement services in Australia to the Italy-based AGB Group (now Nielsen) in 2000. The ensuing ATR Australia TV ratings panel, based on 3,000+ homes in metropolitan areas, began supplying data to OzTAM on 1 January 2001. That contract was extended in 2007 for the period 2008-14. · In April 2003, OzTAM contracted ATR Australia (now Nielsen) to provide television audience measurement services for the National Subscription TV service. That agreement was extended in 2007 for the period 2008-2014. · Investment in Unitam meters allowed OzTAM to add 7-day Time Shift Viewing data to its ratings service from the start of the 2010 ratings year. In 2016 Time Shift Viewing up to 28 days after the original broadcast was introduced. · In 2012 OzTAM’s panel expanded to 3,500 metro homes and 1,413 national STV homes, and Nielsen’s contract was extended through 2017. · The 50 per cent expansion in OzTAM’s metro and STV panel homes will bring the panels to 5,250 and 2,120 homes, respectively, in 2017. Where this will make a difference is in the low rating shows where the margin of error is much higher in comparison to the result. I think this move is geared towards getting more accurate results at the lower end of the ratings spectrum as the audience fragments further over more channels and services which will help suppliers and advertisers more. It will, as pointed out already make no difference to the main stream top 20’s. No, it won’t really make much difference at all to the overall accuracy, even at low ratings figures – the whole non-linear “diminishing improvement with increased sample size” thing every statistician has to deal with. How can I get on the panel? I remember having a book a long time ago but I don’t remember how I was recruited. You can’t. It’s random, via Nielsen in order to stop bias. Me to…they came to the door and asked if I would participate…and I would receive a gift…I did…and got a small. bright yellow plastic measuring jug…*G*…….. There is also a 55+ demo plus Grocery Buyers, Grocery Buyers with Kids. Is this going to be a staggered increase or will there be a set date for the new panel? The existing panel is slowly rotated though 4 times (I think) a year, with some held ‘in reserve’ to fill dropouts or go into the next batch, so there’s always some households ready & waiting to go. I don’t know for sure (but would expect) that they’ll simply gradually increase the number of households until they reach their new number in time for week 1 2017. Makes most sense for a bunch of survey / statistical reasons too. Owned by Seven, Nine and TEN. Thanks wasn’t aware of that! David, have you ever thought of doing an article/interview with someone from the industry covering the details, myths, & misconceptions about TV ratings? I saw John Grono from Gap Research give a presentation on TV, internet & media mesurement a few years ago and it was fascinating (if a bit over everybody’s heads! ), and I’ve noticed him commenting over on Mumbrella occasionally – maybe he’d be willing? I was thinking more to answer the frequent “it’s biased”, “it’s inaccurate”, “it doesn’t account for X”, “I don’t know anyone who’s ever been selected / how do I get selected?”, “how can only 3500 [or 5120] people represent the whole country”, etc. statements & questions. Polling is one instance where size doesn’t matter. ReachTel/Seven polls told us the election outcome would be 50/50 +/- the Margin of Error, which was very small. “ReachTEL conducted a survey of 2,349 residents across Australia”. As we saw, the result was 50/50, +/-1%. The results will be the same. It’s the networks screwing the figures with half of The Chase actually being News in some areas, Hot Seat starting at 5:15, programs being split into 2 when they are actually the one complete program, etc. Agree – the sample size increasing 50% will only increase accuracy by a fraction of a percent, if that. It’s the games the networks play which need to stop – and ultimately by treating the viewer with more respect the networks would benefit most of all from stopping playing those games. There is no advantage in playing such games when your competitors are playing them anyway.